Datsun has unveiled at the ongoing Moscow International Auto Salon its two new models for the Russian market: the on-Do sedan and the mi-Do hatchback. 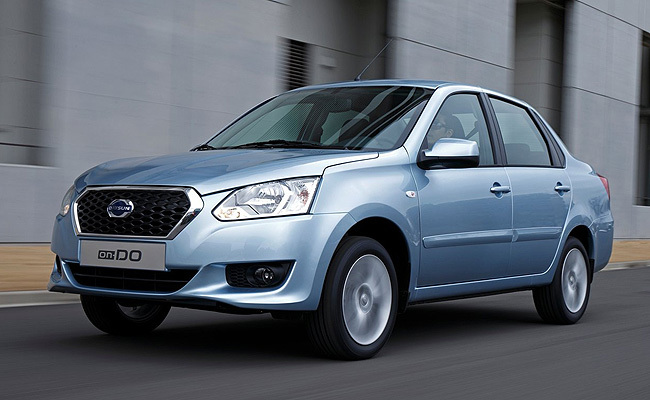 The on-Do's design is dominated by Datsun's signature D-cut grille. Flanking it are elongated projector headlights that have a more traditional shape than that used on the mi-Do, which it will share its platform with. As for the mi-Do, its shorter overall length, thanks to its hatchback design, emphasizes its driving dynamics. Both the on-Do and the mi-Do will be equipped with driver and passenger airbags as well as ABS. As expected for its target market, both vehicles will also have heated seats and door mirrors, "while special attention has been paid to ensure that road, engine and wind noise is kept to a minimum." Powering both the on-Do and the mi-Do are an 87hp 1.6-liter engine mated to either a five-speed manual or a four-speed automatic transmission. 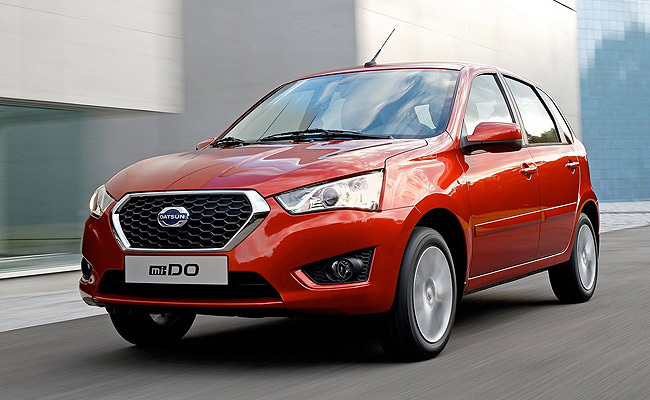 The Datsun on-Do is set to go on sale in September, while the mi-Do will hit the market "from early 2015."